Our clients include many of the UK’s largest retailers, brands, producers, growers and labour suppliers. Experts in labour recruitment compliance and best practice, allianceHR manages the day to day operation of the Association of Labour Providers. allianceHR has developed Clearview, a global labour provider certification scheme to drive responsible recruitment practices. allianceHR operates Complyer, next generation social compliance audit tools and architecture. 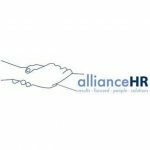 allianceHR leads on the Stronger Together collaborative initiative helping business to tackle forced labour and modern slavery in supply chains. allianceHR manages the Fast Forward collaborative initiative with many retailers and brands to build legal and ethical labour standards compliance within the consumer goods supply chain.